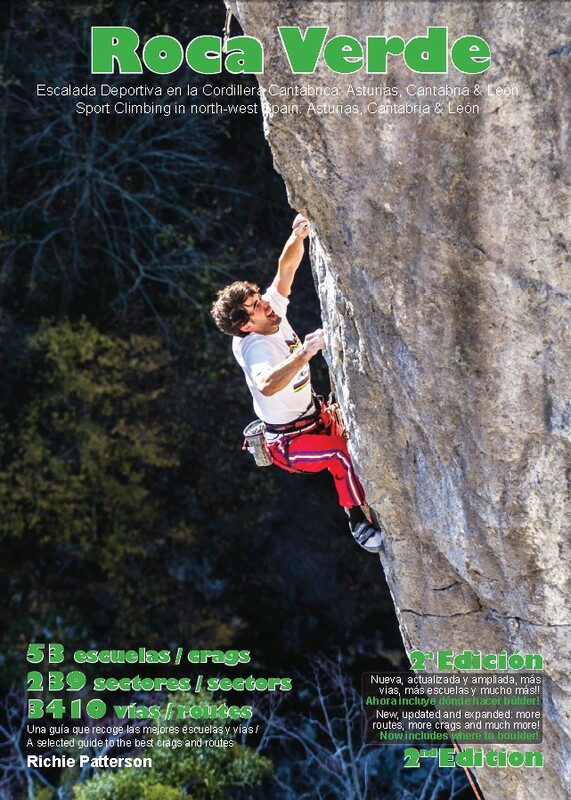 You can buy the Roca Verde guide direct from us for 30€ plus 5€ postage. The book will take up to 15 days to deliver. As I live out in the country I post Books on Monday Wednesday and Friday only. If you think it is too late to get the book by post you can buy the book in nearly all the locations where there is climbing. I can post the book to nearly any country in Europe (including Russia) but if you are outside the EU it might be best to ask first. You can also buy Roca Verde from the excellent bookshops Kletterführer or TMMS Verlag in Germany or from Au Vieux Campeur in France. They will all post the book to you. Quiros: at the Refugio in El Llano in Quirós and at Bar Sol Horrin in Aciera (just before Quiros). Leon: Libreria Iguazu, Deportes Cordoba and La Nave Bouldering Wall. Santander: Eiger Sport. If you are climbing in La Hermida they always have it in the bar at La Cuadrona (La Hermida) and many of the shops in Potes. Or the climbing shop K2 in Torrelavega which is just off the motorway close to Santander. In León it is available in the Cordoba climbing shop and Libreria Iguazu.